I wrote earlier this week about how the holidays are a time of warmth, family and togetherness… but that warmth, family and togetherness is not always so easy to come by. Halloween, Thanksgiving, Hanukkah, Kwanzaa and the winter break including Christmas and the New Year all seem to flow together and create high levels of stress. 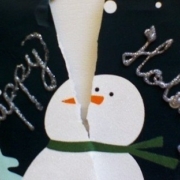 It is especially acute when you have children who split holidays between mom and dad. It is a busy time for Family lawyers.